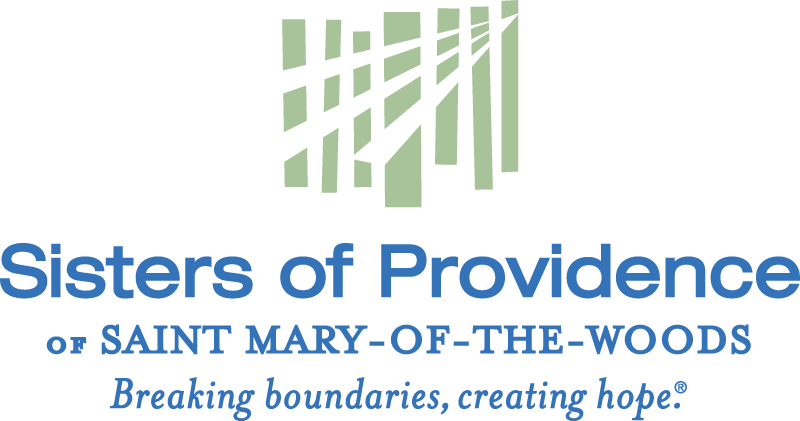 Saint Mary-of-the-Woods College and the Sisters of Providence of Saint Mary-of-the-Woods are pleased to announce the Saint Mary-of-the-Woods Historic District is now listed in the National Register of Historic Places. Its addition to the National Register honors the property’s importance to the state and the nation. “We’ve always known The Woods to be a special place which has touched and changed many lives for generations. Now, the nation has recognized its significance and we are incredibly proud,” said Dottie L. King, Ph.D., president of SMWC. “When people visit Saint Mary-of-the-Woods for the first time, they are always overwhelmed by its beauty and peacefulness. It is a place made sacred not only by the beauty of the buildings and the environment but by the people who have walked here, the spirituality that has been shared here, by the work of education and now health care that takes place here,” said Dawn Tomaszewski, SP, ’74, general superior of the Sisters of Providence. 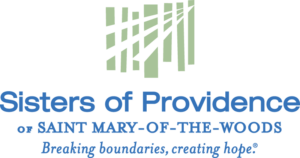 The Sisters of Providence, under the leadership of St. Mother Theodore Guerin — the beloved eighth U.S. saint — emigrated from France in 1840 to form a religious order in Indiana for the purpose of establishing a school, which eventually became the oldest Catholic women’s college in the state. By Saint Mother Theodore’s death in 1856, she had directed the opening of 11 schools in nine Indiana towns. Pioneering work at Saint Mary-of-the-Woods, the Indiana wilderness where this order and higher learning institution were established, became an important contributor to the evolution of women’s education and Catholic higher education in the country. The National Register nomination form submitted by SMWC lists a total of 66 buildings, sites, structures and objects contributing to Saint Mary-of-the-Woods’ historic significance. They include buildings such as Guerin Hall, Le Fer Hall, Hulman Hall and the Rooney Library, all owned by SMWC, as well as impressive religious buildings owned by the Sisters of Providence such as the Church of the Immaculate Conception, the Blessed Sacrament Chapel, Sisters of Providence Motherhouse/Providence Hall and the St. Anne Shell Chapel. SMWC started pursuing the nomination in January 2015 in conjunction with the 2016 Indiana Bicentennial. The College worked with Tommy Kleckner, director of the Indiana Landmarks Western Regional Office, throughout the process. Both SMWC and the Sisters of Providence were recipients of the Indiana Landmarks Partners in Preservation grant, which covered part of the technical consultation fee for the nomination. Administered by the National Park Service, the National Register is the official list of historic U.S. sites considered worthy of preservation. It is a formal recognition of a property’s architectural, historical, or archaeological significance based on national standards used by U.S. states. It allows opportunities for specific preservation incentives including federal and state grants and tax credits. “Historic preservation is important to the human narrative. Our campus is a picture of our values and a living demonstration of our commitment to honoring the rich legacy we have inherited. We’re excited about the possibilities the new designation creates to raise awareness of the historic impact and beauty of our campus and especially to share this beauty with future generations of students,” added King. A total of 66 contributing and 23 non-contributing sites, buildings, structures and objects make up the Saint Mary-of-the-Woods Historic District. The contributing sites and buildings are listed below, with architects as attributed.